In November 2012, I left Burr Pilger Mayer, a regional San Francisco Bay-area firm that I co-founded and ran for 25 years, and started a new firm. On the first day of the newly created SD Mayer & Associates, I decided to compete in an Ironman. When I turned 50, I completed a half Ironman as a midlife adventure; as I looked at 59 slipping away and the challenges of starting a new company, I figured finishing the Ironman was a worthy goal. I crossed the finish line at 9:59:56 p.m. after swimming 2.4 miles, riding my bike 112 miles and running 26.2 miles. My family cheered me on, and I am sure their thoughts ranged from pride to the hope that I would never try it again. I was exhausted. I could barely stand, and my feet were covered with blisters. However, when the race official handed me a medal and said, “You are an Ironman,” the pain was replaced with a sense of accomplishment I will never forget. Over the next few days, as my body returned to normal, I started to think about the similarities of running a successful accounting firm and competing in an Ironman. For many accountants, comparing the two may sound crazier than actually completing the Ironman, but I think those with vision, imagination and an attitude of continuous improvement will get it. Plan. Don’t fool yourself. Competing in an Ironman is a big commitment. Figuring out the logistics of getting there, where to stay and how to train – and balancing all that with family, work, recreation and friends – are obstacles to overcome. Running an accounting firm takes planning also. If you don’t know where you’re going, how will you know when you get there? What type of firm do you want? Full service or a specialty practice, multi-partner or single partner, several locations or one office, lots of marketing or a referral network? The plan will change often. Expect the unexpected and adapt constantly. Three events/ Three practices. An Ironman is a combination of a swim, bike ride and a run. You have to do all three to get the medal. I believe a successful accounting firm needs to focus on building three types of practices: First, one aimed at helping individual clients achieve financial security; second, a business practice in which the firm becomes the trusted advisor for its clients; and third, a consulting practice that solves problems for its clients in a proactive, forward-thinking manner. The right equipment. An Ironman requires a bike, wetsuit, helmet, goggles, biking shoes, running shoes and a variety of clothing. 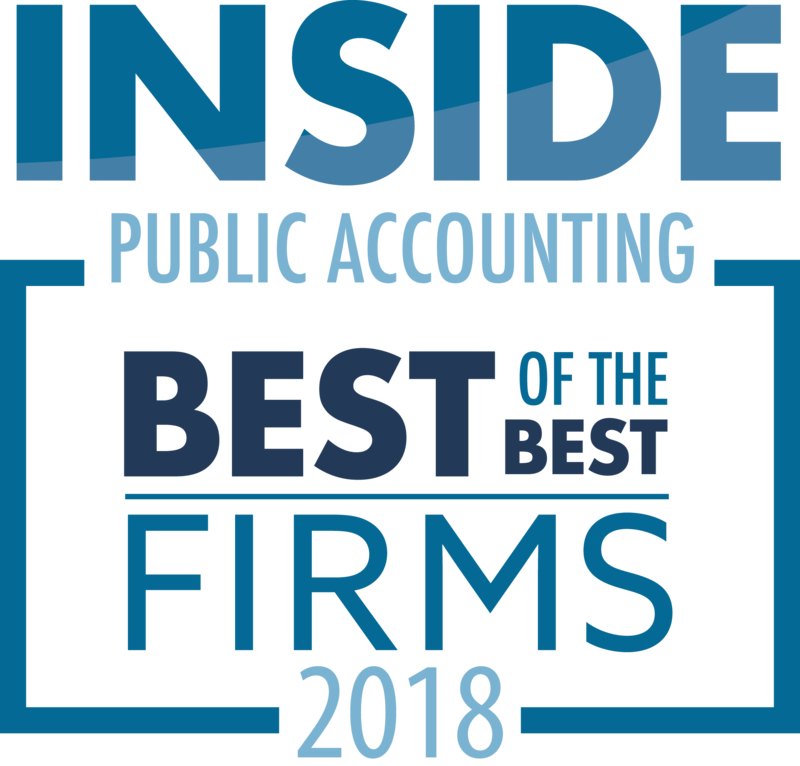 A successful accounting firm needs the right tools: tax, auditing, document storage and research software, computers, printers and a technology infrastructure that links the firm, its employees and its clients efficiently. It also needs a website, brochures and marketing materials that tell your story, and finally, a CRM system that allows you to communicate what you do and how you do it with your clients, employees and contacts. Training. Finishing an Ironman takes months of continuous training. Some days training takes five to eight hours, and most weeks the commitment is 15 to 20 hours. The quality of an accounting firm directly relates to the quality of its staff training. Firms will never achieve greatness if they try to get by with the minimum hours required to maintain a CPA license. Great firms combine technical training, processes and procedures training, and professional development training into a well-coordinated, long-term plan for their employees. Research and Knowledge. The Ironman races have been around for more than 25 years. As a result, plenty of veterans are happy to share their experience and advice. An endless amount of information is available on training, nutrition, equipment and medical issues. Knowledge about the race and the ability to research training questions and techniques is critical to preparing for the race. In the same manner, a well-run accounting firm must teach its people to research critical technological issues and add specific, unique client experiences to their knowledge database. Too often, firm professionals end up recreating the wheel instead of relying on a central database to research common issues. Support. No one finishes an Ironman without the constant support and encouragement of their family, friends and colleagues. An accounting firm needs the same type of support. Over the course of a year and certainly over many years, it is a roller coaster of highs and lows. Between getting clients, serving clients, hiring the right people, dealing with unexpected attrition of clients and professionals, changing regulations, the long hours and the constant deadlines, it is a tough, but rewarding career. Strong support and understanding from family, friends and colleagues is a must. Community. An event that starts with registration a year ahead of time, covers more than 140 miles and attracts over 1,000 participants needs a strong community behind it. Between the race officials, the public safety officers directing traffic and providing emergency care, the hundreds of volunteers organizing the race and manning the water and break stations, and the public officials, it certainly takes a “village” to put on an Ironman. In the same fashion, the CPA industry is known for its community support and involvement. 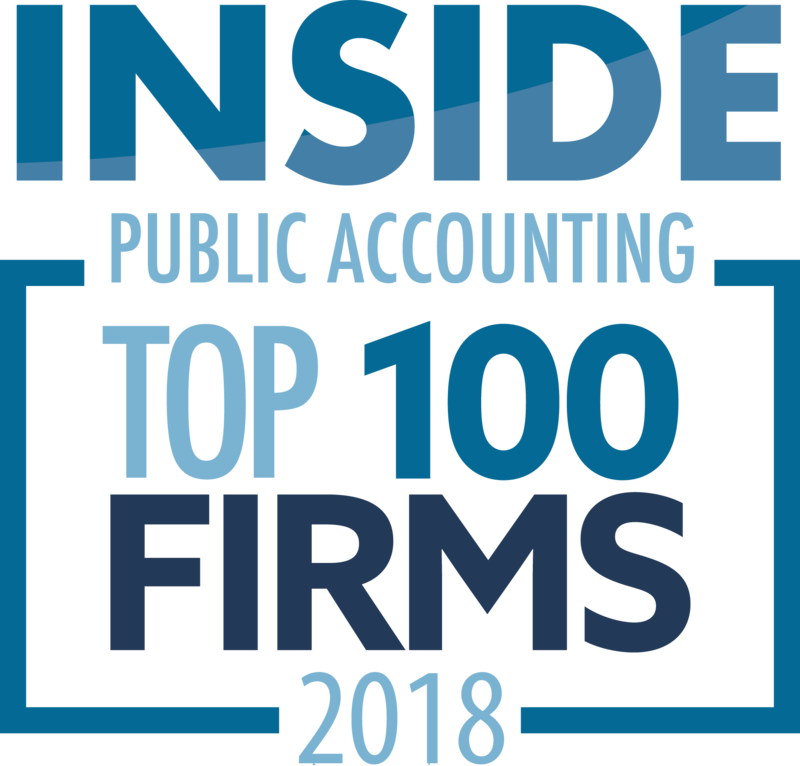 From business organizations, such as the Chamber of Commerce, to professional organizations, such as the AICPA and local CPA societies, to hundreds of charitable organizations, CPAs are usually well represented. However, CPA firms that make “commitment to the community” a building block of their firm, with professionals who assume leadership positions in community organizations, will achieve more success than those that do not. The payback is much greater than the cost. One Bite at a Time. Probably less than 1% of the 1% of those physically capable of doing an Ironman actually give it a shot. Probably 25% of those who start are unable to finish. You will never get there if you let the journey intimidate you. When the gun went off and I started the swim, I broke the distance into about 10 sections: to the bridge, to the white buoy, to the next bridge and so on. I did the same with the bike ride. At about 22 miles into the run, I thought, “In an hour, I will be an Ironman!” An accounting firm is no different. There are basically three seasons, Jan. 1 to April 15, April 16 to about Aug. 15, and Aug. 16 to Dec. 31. There are X hours to bill, X dollars of revenue you need to make your numbers, and X dollars of new business needed to grow the firm and replace clients who have left. If you approach the year “one bite at a time,” it is always manageable. Finishing. Only those who have crossed the finish line really understand the “rush” of completing the grueling course. In CPA terms, the big event is getting a new client when you have worked hard to gain their business, hiring a key employee when many firms were competing for the same person, or being recognized by your community or profession for excellence. Finishing is a great feeling and the more often you share that feeling within your firm, the more successful you will become. Winning is contagious. Competitors. I am sure that at the highest level of performance the competition is quite fierce, but for the vast majority of people who complete an Ironman, your fellow athletes are not true competitors, but supportive colleagues. I have always encouraged my employees to become friends rather than competitors with CPAs in their community. Everyone needs help. No one is an expert in all matters. Building a strong base with CPAs in other firms shows respect, but more important, it shows the competition that we have to help each other. Successful firms also are involved in national and international associations and refer clients and employees to others. Continual Improvement. During my training I lost about 25 pounds, took 30 minutes off my swim time, improved my average bike speed by over three miles an hour, and strengthened the muscles in my knees from not being able to run 100 yards without incredible pain to running 26 miles with no pain. None of this happened overnight. The improvement was incremental. I believe that an accounting firm needs to dedicate its total focus on continuous improvement. During a busy season, each tax return should be a little better, and processes should be improved. Without a commitment to continuous improvement, complacency will follow. Employees and clients will notice, and slowly but surely, processes will break down and your competition will pass you by. What’s Next? When I finished the Ironman I could barely walk. I had done it, and harbored no ambition to do it again. I told myself, “Steve, you can cross that off the bucket list.” Well, in a few days, the pain was gone and I started to consider a half Ironman or marathon. I have been through 37 busy seasons, and when the last tax return or audit is done you find yourself saying, “I’m too old for this,” or “Why do I do this?” But usually after a week or so, you begin to plan improvements and within a month you are already mentally prepared for another season. All great professionals I know go through this cycle often, but they almost always come back for the next challenge. Be a Cagy Veteran. After completing an Ironman, I now feel I have earned the right to give practical advice to just about anyone who wants to give an Ironman a try. In an accounting firm the best knowledge is experience. If you have never done a non-profit audit or a litigation assignment or a consolidated tax return, it is hard to know where to start. However, after completing even one special assignment, you now have a certain level of expertise to build on. After completing each step of a business, you can advise others. Accounting firms need cagy veterans to help the younger folks grow and develop. I don’t know if I will ever do another Ironman, but from the time I registered to the time I crossed the finish line, I learned a lot about pushing myself to the absolute limit of my physical and mental ability. The training, the support from family and friends and the joy of participating in the event was a worthwhile experience. In the same manner, public accounting is a very noble profession. People trust you with their money and rely on your advice to help them make crucial decisions that can affect them for a lifetime. Just as there is a great feeling crossing the finish line in a race like an Ironman, there is a similar feeling knowing that you made a significant contribution to a client’s financial security and helped them achieve their business goals. OK accountants, I realize 14 items are listed, not 13. The extra one is the most important. You decide which one it is. Enjoy the journey.